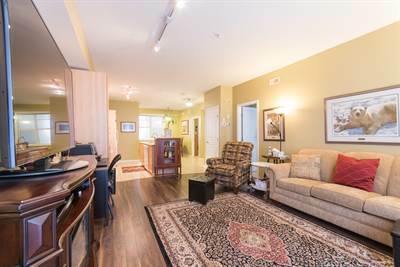 • 935 sqft , 1 bath , 2 bdrm apartment – FOR SALE 306800 CAD . Location, Location!!! This downtown treasure is waiting to be discovered. 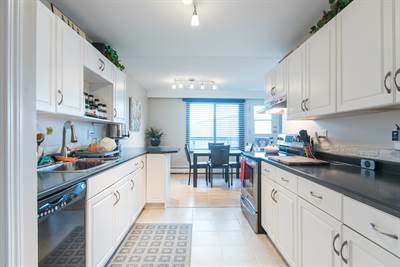 Located in highly desirable Grandin, this property is close to the legislature, Jasper Ave, LRT, and the trend setting ice district. The home features 2 generous bedrooms, a huge bathroom with separate bath and shower and a door to the main living area and a door to the master bedroom. The open concept layout faces south, providing a gorgeous view of the river valley and the U of A up on the other side – very serene. At Grandin Court you have full control of your temperature. The furnace/AC unit was installed in 2006 so you can be as warm as you like or enjoy a cool respite on a hot day. New hot water tank, in suite laundry, garburator, generous deck with BBQ hook up and even an outside tap! The quality appliances are under warranty until Dec. 2017. Underground, titled, heated parking unit #40 features a generous storage cage as well. Grandin Court is pet friendly too! Welcome to the good life. Welcome home. 12015 133 Ave NW in Kensington, Edmonton is Sold! in Kensington, Edmonton The bungalow at 12015 133 Ave NW has been sold. Posted on April 20, 2017 Categories UncategorizedLeave a comment on 12015 133 Ave NW in Kensington, Edmonton is Sold! 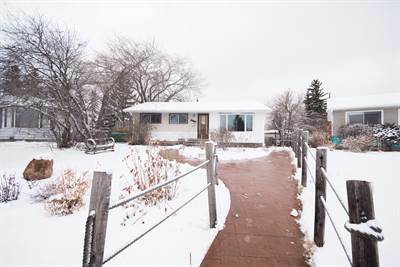 • 1054 sqft , 1 bath , 3 bdrm bungalow – FOR SALE 299900 CAD . Welcome to www.kensingtonhome.ca ! This is a unique opportunity to get your hands on a home with the lot size most people only dream about! Featuring 1/3 acre, this property could facilitate almost any size house/garage/garden you have ever dreamed about. Do you want a big house in the city. Built it here! Do you want a massive garage, rv parking and still room for a garden? You have that here! Build whatever the city will approve. 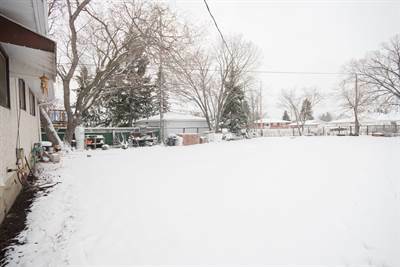 Zoned RF1, items like garage suites, garden suites, duplex housing is a discretionary use and requires approval.The 3 bedroom 1050 sq ft bungalow is set for transition. All the new windows were purchased and are included in the sale. The kitchen was partially gutted, as was the basement. So it's ready for your touch! Check out the last photo of the group and take a look at the perennial garden in the front. Combined with the beautiful stamped concrete walkway and overlooking a green space it's a terrific place to sit and enjoy a coffee on warm summer mornings.Right up the street is Kensington park. This park not only features the community Elementary School & Community league, but a WONDERFUL playground and splash park as well! !There is so much potential in this home!! Check it out today! Welcome to www.kensingtonhome.ca ! This is a unique opportunity to get your hands on a home with the lot size most people only dream about! Featuring 1/3 acre, this property could facilitate almost any size house/garage/garden you have ever dreamed about. Do you want a big house in the city. Built it here! Do you want a massive garage, rv parking and still room for a garden? You have that here! Build whatever the city will approve. Zoned RF1, items like garage suites, garden suites, duplex housing is a discretionary use and requires approval. The 3 bedroom 1050 sq ft bungalow is set for transition. All the new windows were purchased and are included in the sale. The kitchen was partially gutted, as was the basement. So it's ready for your touch! Check out the last photo of the group and take a look at the perennial garden in the front. Combined with the beautiful stamped concrete walkway and overlooking a green space it's a terrific place to sit and enjoy a coffee on warm summer mornings. Right up the street is Kensington park. This park not only features the community Elementary School & Community league, but a WONDERFUL playground and splash park as well!! There is so much potential in this home!! Check it out today!